In November 2017, a US TV company linked to RT was registered as a foreign agent in the US. (c) Jaap Arriens/SIPA USA/PA Images. All rights reserved. (c) Jaap Arriens/SIPA USA/PA Images. All rights reserved.The poisoning of Sergey Skripal has led to a sharp deterioration in UK-Russia relations. For now, London’s official moves, such as deporting 23 Russian diplomats and searching planes inbound from Russia, look moderate. But Boris Johnson’s statement on 16 March was likely unexpected for Moscow. The British foreign minister came to the conclusion that Vladimir Putin sanctioned the attack on Skripal too quickly, though the Kremlin has, for now, merely commented that Johnson’s tone was “unacceptable”. Immediately after the attack, the British parliament began discussing possible responses to Moscow. One of the first proposals was to stop the Russia Today TV channel, which is financed by the Russian government and is openly involved in propaganda, from broadcasting in the UK. And here it’s important to understand that British MPs have raised an important topic — one that’s painful not just for the Kremlin, but the whole of Russian society, including the opposition. Banning the Russian propaganda channel in the UK will provoke a predictable reaction in Moscow. And London needs to understand beforehand what will happen (though the Kremlin hasn’t particularly hidden its intentions). First, Maria Zakharova, spokesperson for Russia’s Foreign Ministry, then Margarita Simonyan, head of RT, made it clear: all British media will be banned in response. This will concern first and foremost the BBC. It’s unclear what will happen to the work of other British media in Russia. The Kremlin brought independent media in Russia under control long ago. If they managed to deal with television by the mid-2000s, then the internet didn’t really attract the attention of the Russian authorities for some time after. But in recent years the pressure has increased: independent media are often brought under control via oligarchs loyal to the Kremlin. For big internet publications, every year it gets harder to work. High-class independent journalists are fired if they choose not to betray their principles. Meanwhile, the authorities aren’t in a rush to pressure foreign media working in Russia. Here, it’s important to explain the actions of the Russian authorities, which have been and will be demonised quite enough. The issue is that Vladimir Putin and his team don’t have — and have never had — a clearly worked-out programme to destroy democracy, including freedom of speech. As a rule, all their decisions are situative. Russian television was taken under control after Putin was sharply criticised by the oligarchs Boris Berezovsky and Vladimir Gusinsky. The Russian president likes to act in response to any threats. Take the events of the past six years. In 2011, hundreds of thousands of people, dissatisfied with the prospect of Putin returning to power, came onto the streets of Russian cities. The protest was suppressed, but the Russian authorities were seriously worried. They set themselves the task of making everything dependent on them, in order to ensure these scenes would never be repeated. The authorities undertook various actions: from formally liberalising the political sphere to passing repressive laws at the very moment when people stopped protesting. Once again, it’s important to understand that the Kremlin’s reaction was a response to street protest. Although these laws may have been prepared beforehand, it seems they were thought up on the spot. Take the “Foreign Agents” law as an example — this law banned NGOs which take foreign funds from being involved in “political activity”. As is often the case in Russia, this law didn’t only touch on the work of human rights organisations, but many others, from environmental NGOs to, most recently, a diabetes society. Why did they pass this law? Because the authorities believed that the 2011-2012 protests were organised from abroad. The mass protest started after election observers found large-scale falsifications at the parliamentary elections. The Golos election monitoring association prepared the observers. Golos received foreign funding. This is how the Kremlin put it together. A similar situation happened with the Kremlin’s response to Ukraine. Putin was sure that he was simply responding to attempts by the west to take Ukraine further from Moscow’s influence — and, at the same time, breaking Putin’s agreements with Viktor Yanukovych. The 2012 ban on adopting Russian children (the “Dima Yakovlev” law) was also perceived as a response to hostile actions from the west. Here, I’m trying to explain the Kremlin’s logic, which becomes even clearer in the case of Russia Today in the US. After RT was registered under the Foreign Agent Registration Act in November last year, Moscow started feverishly searching for return measures. The initial suggestions were more reminiscent of North Korea, e.g. banning all independent media, including social networks and even the internet. But then the Kremlin softened its position. All US media, which receive state financing, were declared foreign agents. Other US media have yet to fall under this law’s purview. For me, there’s two reasons for this. The first, as I wrote above, is that the Kremlin is convinced that it’s defending itself from attacks. It has to respond. The second is that Moscow still leaves itself room for manoeuvre and bargaining. If you ban everything at once, there’s nothing to discuss further — and the Kremlin doesn’t want to end up isolated like North Korea. But the risk of isolation has risen after the Skripal poisoning, and the Russian authorities see this. They won’t make any sudden moves on their own. This is what western states need to understand about the Kremlin’s behaviour. Currently, there’s no signs that Putin will change his traditional tactics after re-election. The Russian authorities will still monitor the domestic opposition and the actions of the west (and will respond to them). The west needs to understand that the Kremlin’s reaction vis-a-vis freedom of speech and human rights depends on their reaction. Not least of all because the Russian authorities love appealing to the west’s double standards. 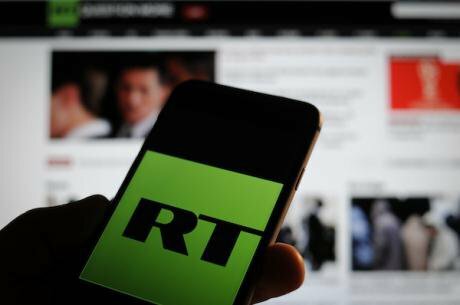 All actions in connection with RT are seen as the west’s hypocrisy in the field of freedom of speech. By banning Russian propaganda, the western world helps Putin in his fight against freedom of speech.